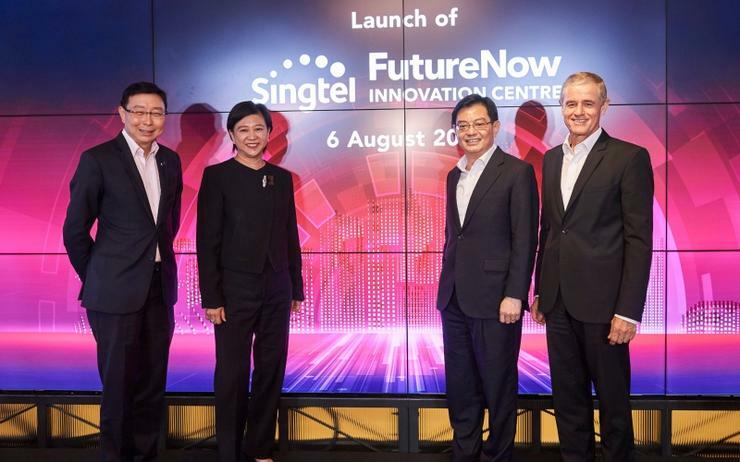 In line with Singapore’s efforts to encourage innovation and digital transformation, Singtel has opened its FutureNow Innovation Centre (FIC). The centre has been designed to advance the Singapore government’s industry transformation maps (ITMs) that focus on six key industry clusters, namely manufacturing, built environment, trade and connectivity, essential domestic services, modern services, lifestyle. “We have brought together a number of industry subject matter experts who are contributing to the various industries’ transformation,” said Bill Chang, CEO of group enterprise at Singtel. “Together with the advanced technologies through our various research and development labs, product development and extensive partnership eco-systems, we are bringing innovative and impactful services and solutions to help accelerate enterprises in their digitalisation journeys." The centre will showcase some of the latest technology trends such as cloud, software-defined networks, data analytics, artificial intelligence (AI), cyber security, Internet of Things (IoT), robotics and 5G telecommunications technology. Set up to foster innovation and digital transformation around Singapore’s $4.5 billion ITM initiative, 23 industries are set to benefit under this initiative. Specifically, this is through providing services and solutions to spur innovation and assist enterprises to transform business models, unlock additional growth opportunities redefine customer experiences and improve productivity. The FIC will also showcase smart home technologies, including voice-controlled home systems and IoT for the consumer, which can be all managed through a single platform. Furthermore, the centre will also serve as a centre for collaboration between technology partners from small and medium enterprises as well as global technology leaders with Singtel and its customers, leveraging on the 650 million consumers across Australia, India, Indonesia, the Philippines, Singapore and Thailand. To boost the research capability of the centre, it will also link up with Singtel’s R&D labs with the National University of Singapore, Nanyang Technological University, Advanced Remanufacturing and Training Centre as well as Agency for Science, Technology and Research. In an effort to enhance skills and advance research is key areas, Singtel has made recent strategic investments with various corporate R&D labs and institutes of higher learning and the national research foundation to develop deep technology capabilities and intellectual property in cyber security, AI, advanced data analytics, smart computing applications, building automation systems, robotics and industrial IoT.